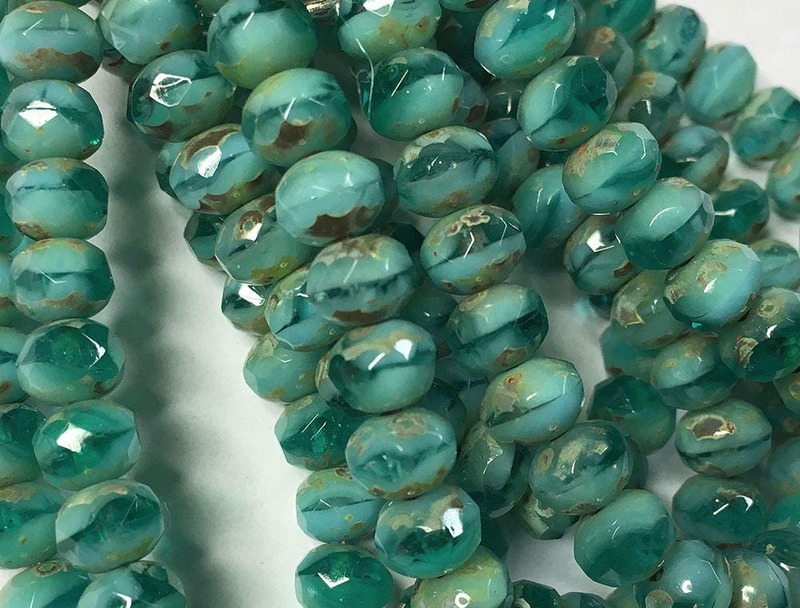 Blue turquoise and transparent and opaque green with picasso finish around the hole Czech pressed glass medium sized faceted rondelle beads. These are 5mm x 7 mm. There are 25 beads per strand.